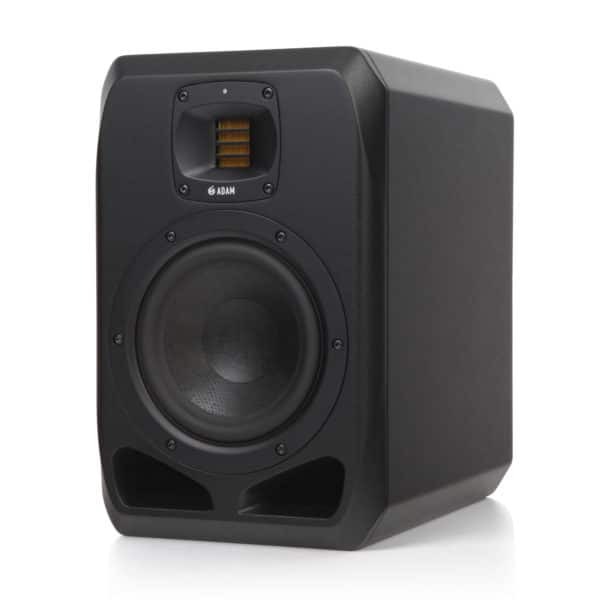 Categories: Active Speakers, Active Studio Speakers, Nearfield Studio Speakers. 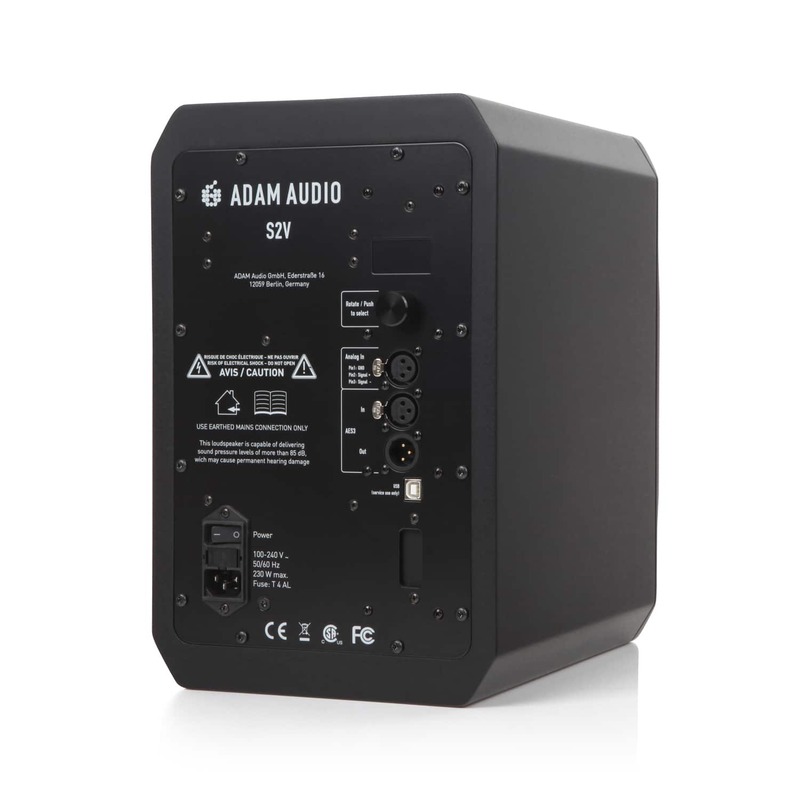 Tags: Active Studio Speakers, Adam Audio, Nearfield Studio Speaker, S2V. 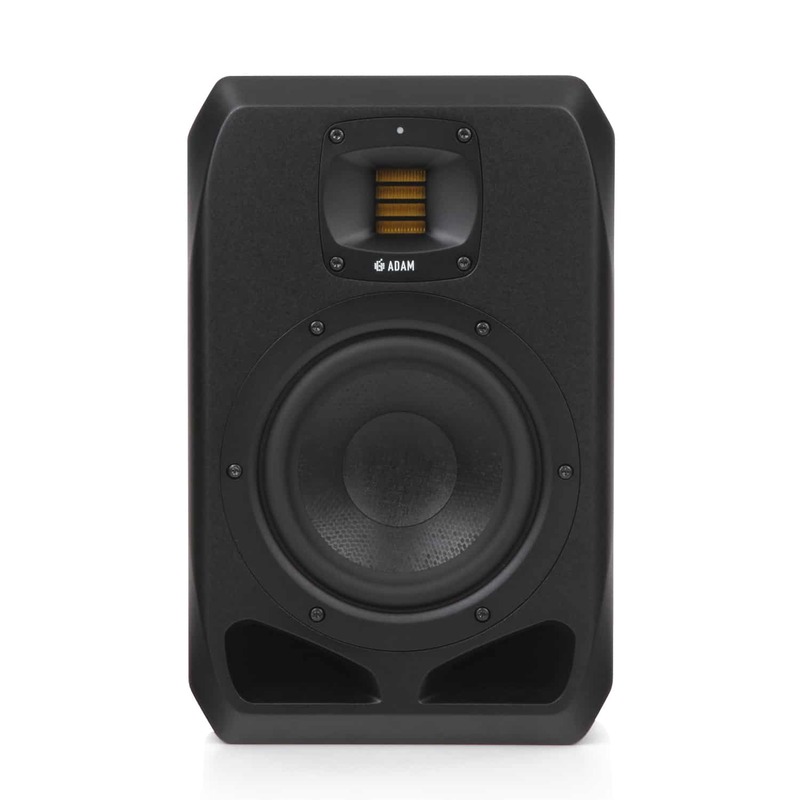 The 7-inch bass driver, newly created from the ground up for the S Series, covers frequencies ranging from 35Hz to 3kHz and delivers a powerful, distortion-free low-end with a wide dynamic range. The carefully refined S-ART tweeter, handbuilt as ever at the ADAM factory in Berlin, works seamlessly in tandem with the newly developed HPS waveguide, creating absolutely precise imaging within a generously proportioned sweet spot. 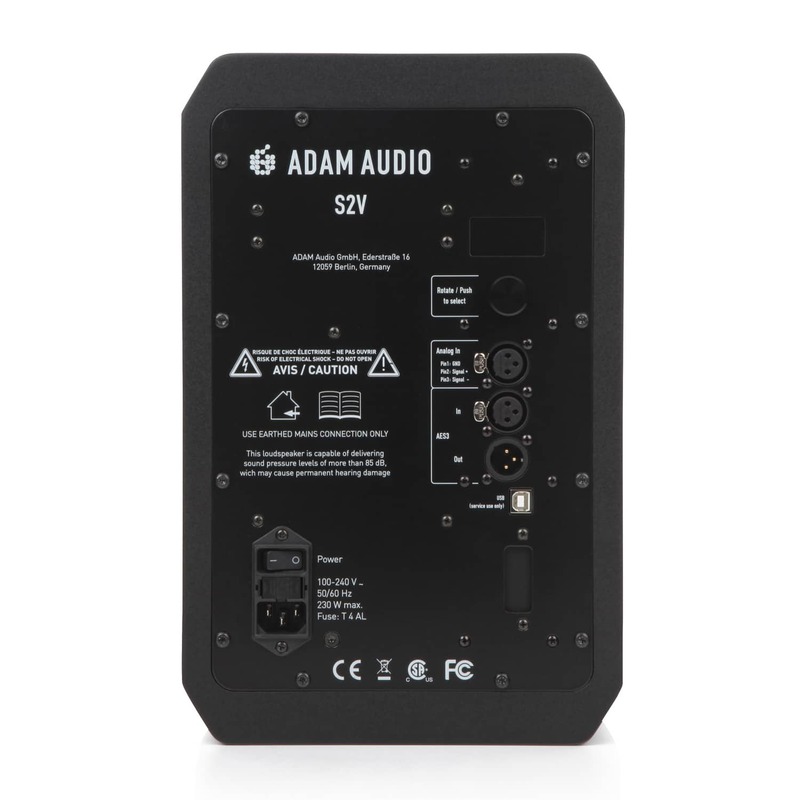 The S2V’s compact dimensions belie its impressive power. A 350W Class D amplifier drives the woofer while a 100W Class A/B unit handles the S-ART tweeter; the combined output produces SPLs of up to 120dB per pair.